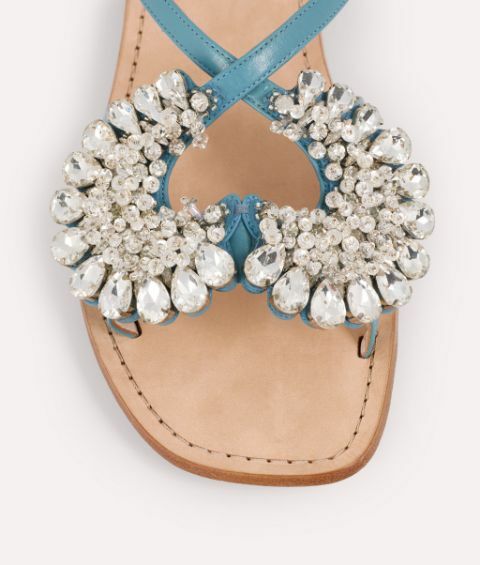 Adorned with a constellation of sparkling crystals, the Vico sandals are set to elevate your warm-weather footwear. 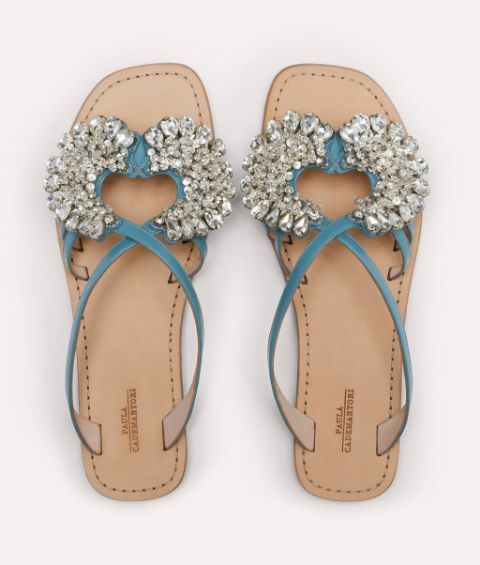 These show stopping flats are immaculately crafted from sky blue leather in sleek straps that gracefully cross over the foot. The softly squared toe and effortless slip-on style deliver effortless modernity.